Creative focus of Tomas Danielis is oriented at crossover between visual/digital arts and movement/dance. While accomplished dancer he pursue the understanding and conceptualization performative presence via space, which led him to further investigate the properties of lights as well as creative escape into photography. Danielis is known to create specific set of tools and innovative movement languages for each of his project and thus keep surprising. His works were presented in more than 20 countries and referred to as innovative, fresh, touching and inspiring. His productions include light art-video-dance performance Landscapes (2011), emotionally powerful and moving Locus (2016), exceptionally physical pure dance performance Suites (2016) acclaimed for approach to composition, movement language and understanding of J.S.Bach. Tomas Danielis received MA at the Academy of Music and Drama Arts, Bratislava, Slovakia. Tomas Danielis danced with Ardent Body Communication/Frey Faust (France, 1999-2000, 2002-2003), Cie. Felix Ruckert (Berlin, 2000), Cie. W.Dorner (Vienna, 2009-2013), Freyer Ensemble (Berlin, 2011 – 2018), Granhøj Dance (Aurhus,2012-2015) and others. 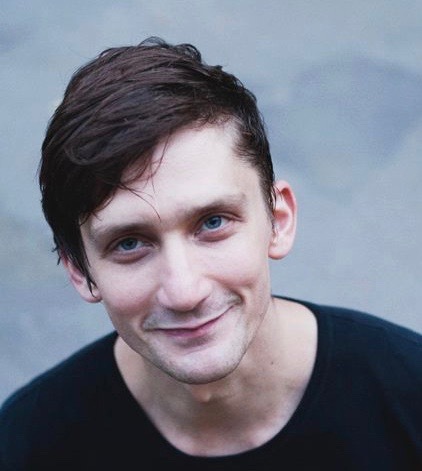 Apart from his work as a choreographer and performer, Tomas Danielis has developed a set of technique and improvisation classes. He tought classes and workshops at Raffinerie, Dasncetrum Jette Brussels, TQW Vienna, Tanzhaus NRW Düsseldorf, Hot Summer Kyoto, Dansehallerne Copenhagen, CODARTS Rotterdam and others. Tomas Danielis was assistant of David Zambrano and Frey Faust (1998/9 – 2004), Artistic Director of Int. Buehnenwerstatt Tanztheater Festival (Graz, 2011-2013). Between 2013 and 2018 he was the Director of IG Tanz Steiermark. In 2017 Danielis founded FEYNMen – collective of artists dealing with dance, performances, visual arts and music. Crisscross is sharing of my practice a mover, performer and choreographer. For each day I prepare set of improvisation games and frames to warm up, play, move, search and dance with particular technical goals. My ultimate goal is to provide frame and inspiration where every single participant can rediscover pleasure of movement, enrich and develop movement language while challenging the body. Hi Tec Tools is physically demanding class where we play with different principles, speed, dynamic and coordination to challenge body. Dynamic alignment and body architecture are tools used to break down movement sequences to basic principles driving movement. We work with these principles, as matrix adjusting them according to needs to achieve “liquid” and safe state of body. I offer my own movement vocabulary, which was shaped from my experience as a dancer and choreographer. Hi Tec class includes floor work, up side down, standing work, spins, stability and speed exercises, jumps, sometimes connected with basic partnering.